Is Christmas really so close? Here’s a quick round up of some new and past Christmas craft ideas that are sure to get you in the Christmas sewing spirit! 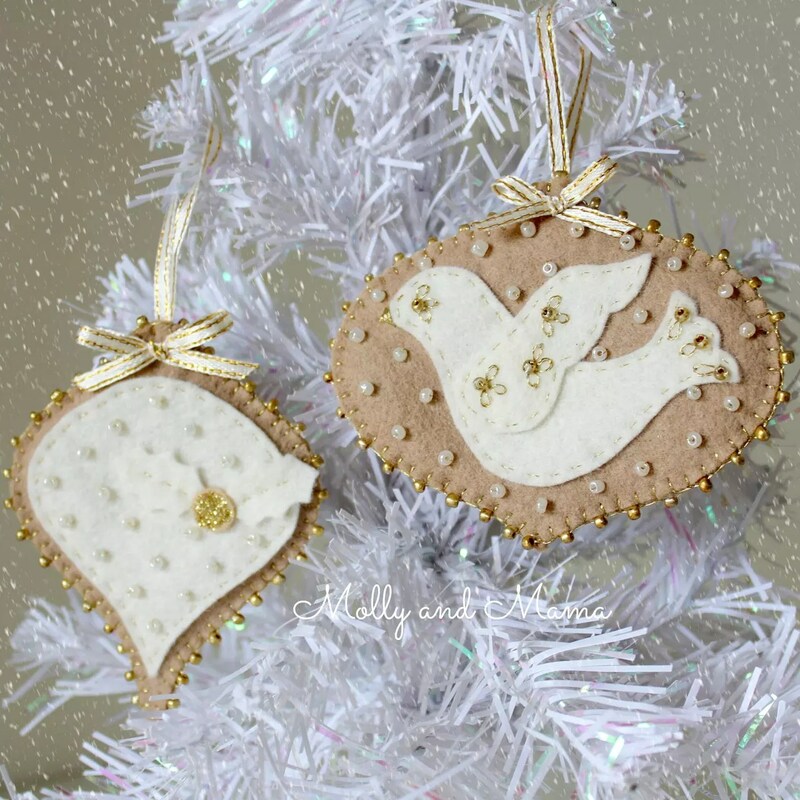 As a creative blogger for Sizzix UK, I’ve been focusing on Christmas goodies. 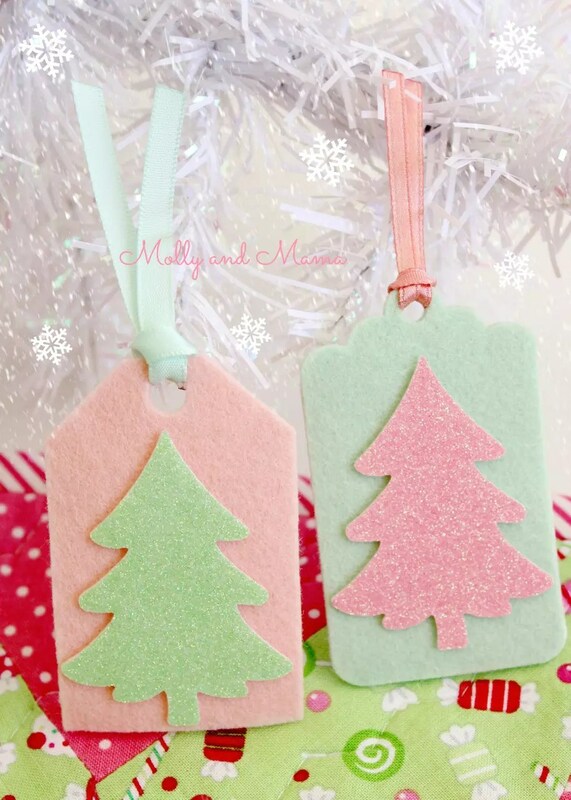 I just made these simple no-sew gift tags using my Sizzix Big Shot Plus machine and a couple of the die designs. You can read all about how to put them together over on the Sizzix Blog. 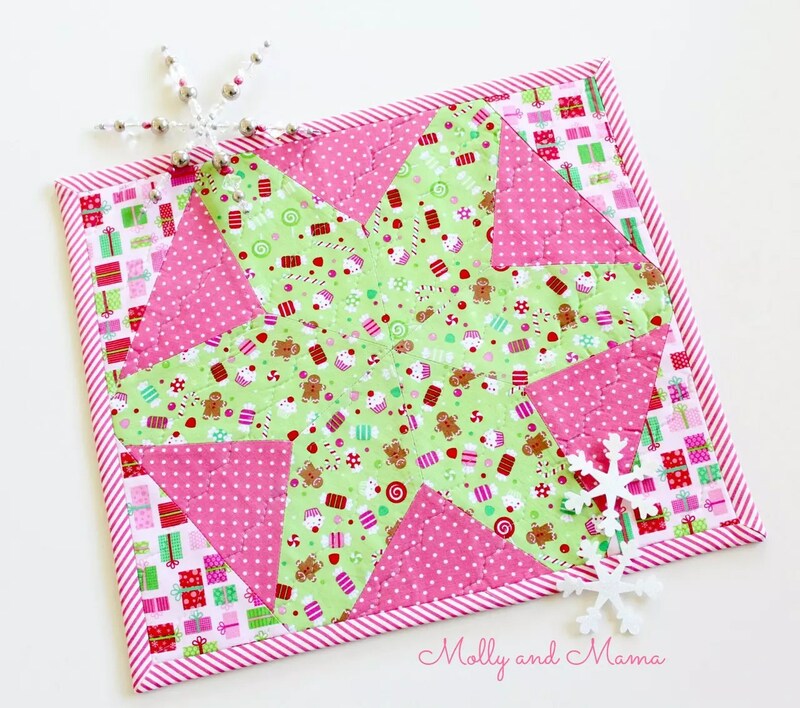 I also created these simple patchwork placemats using the Sizzix Hex Star die. The design was so straightforward to sew together. You could make these placemats using any patchwork design you like. The bright Christmas fabric makes it look so festive! 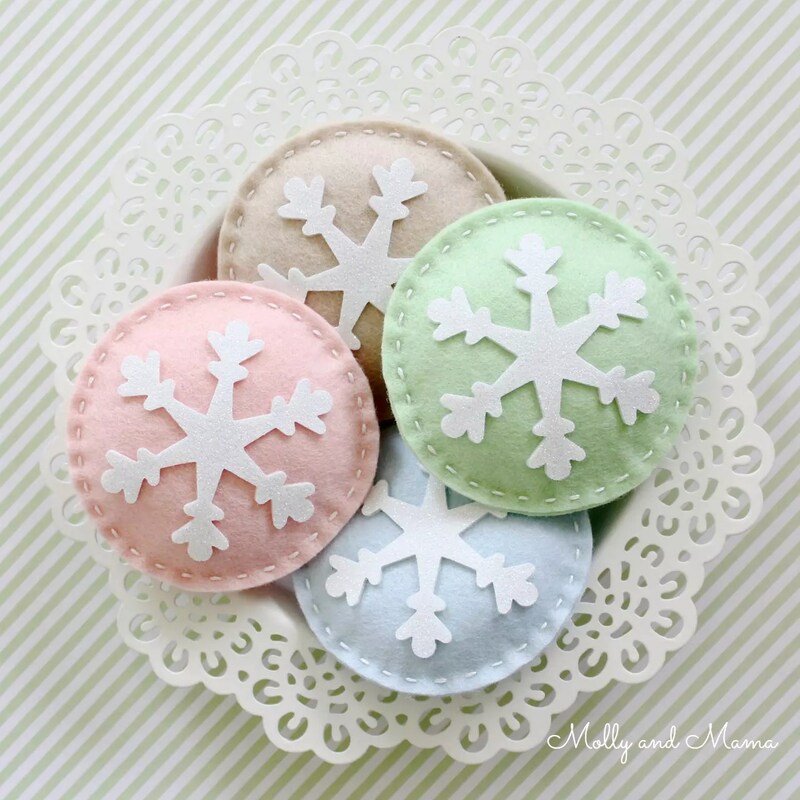 These pretty felt snowflake Christmas cookies were also an easy make with the Sizzix machine. They only took 15 minutes! You can read more about them on the Sizzix Blog. 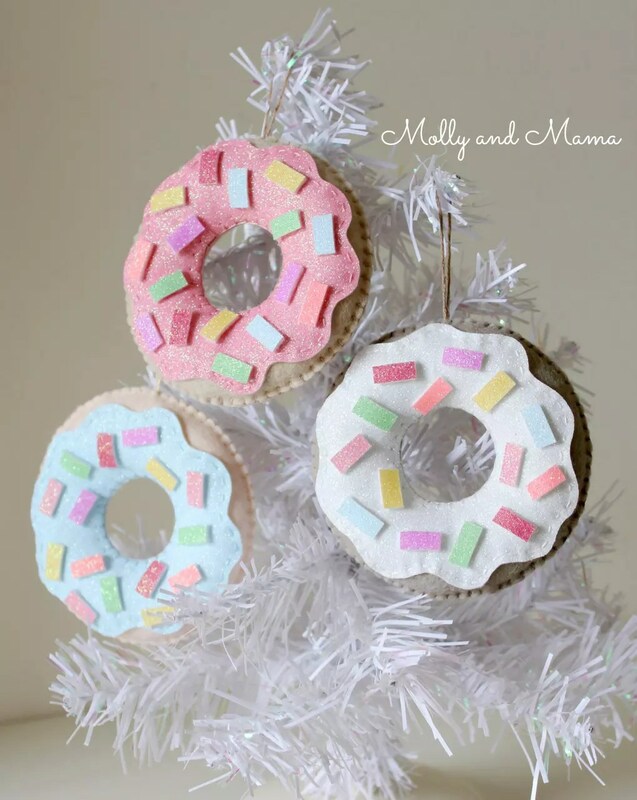 Speaking of fun food, did you see my donut ornament tutorial? I love these felt donuts. They’re great for play, but also gorgeous on the Christmas tree. They’re made with glitter felt from the lovely Candice at Rose Petal Collections. I also used some bold hues of Candice’s glitter felt for this easy felt Christmas bauble last year. I think the tassel on the bottom is my favourite part. I created the Beaded Baubles pattern last year too. While it’s a step away from my usual style, I really love how these ornaments turned out. The beads and metallic threads just add such a beautiful finish. You can find this pattern in the store. 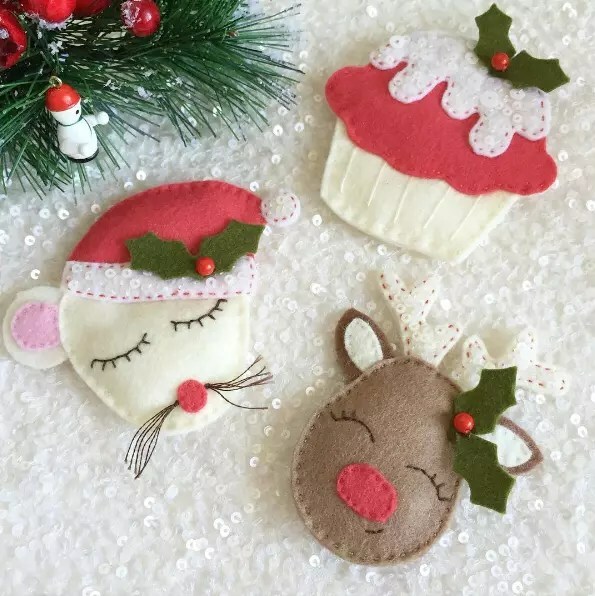 My other felt Christmas pattern is the Festive Felties. Larisa from Stitching Notes recently made the three designs in the pattern, and I am just so in love with her take on the designs. Aren’t they delightful? 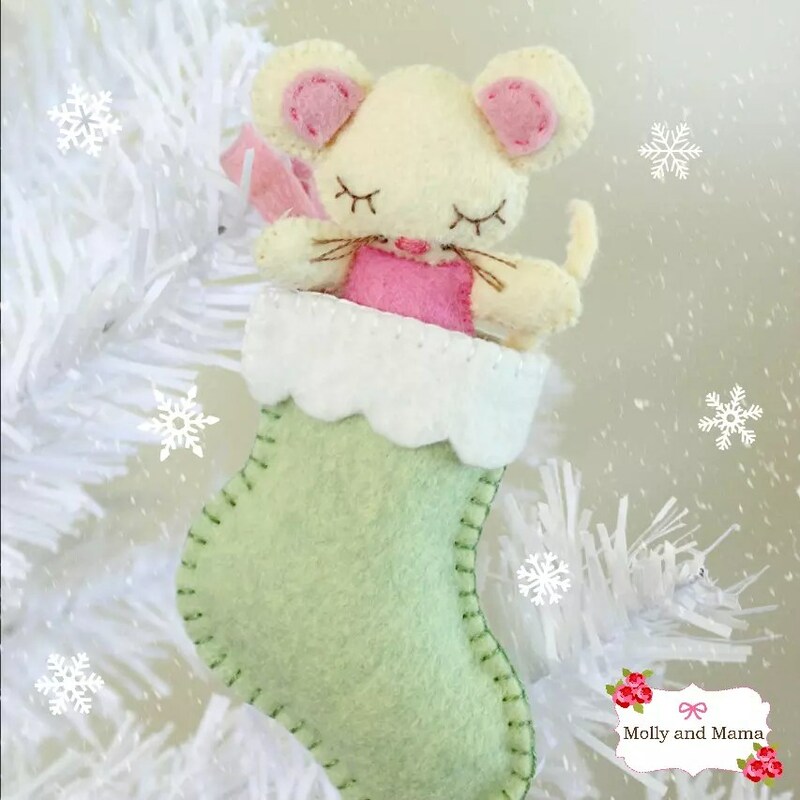 And don’t forget about the sweet little Christmas mouse tutorial too! It’s an oldie but still super popular. Don’t forget to check the Tutorials Tab for more Christmas makes too. What are you sewing for Christmas? I’d love you to share your favourite patterns and tutorials!